Meet Perth’s BEST Mobile Mechanics! That’s why today, we’re here to recognise the Top Mobile Mechanics in Perth. In 2018, AutoGuru partner mechanics in Perth quoted over $7 million worth of services and repairs for AutoGuru customers, to help them better care for their cars. We’re here to recognise the Top Mobile Mechanics In Perth, who went above and beyond to consistently deliver amazing service experiences to their customers. Congratulations to the team at Perth Mech Mobile Mechanics for coming in as the number 1 Mobile Mechanic in Perth. 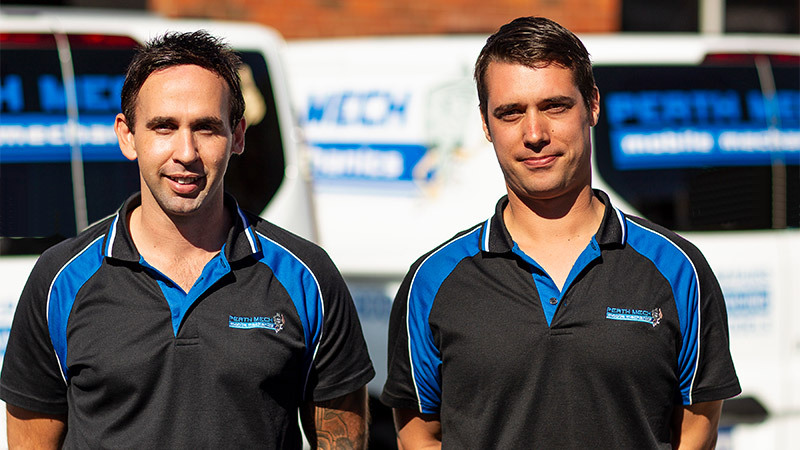 Perth Mech Mobile Mechanic is a local, WA owned and operated business, specialising in servicing and repairs to all vehicle makes and models, with the convenience of coming to the client’s home or workplace. The crew guarantees friendly and professional service at all times, and they’ll take the time to know their customers and their vehicles. They’ll give an honest evaluation, advice and pricing on any additional repairs that might be necessary. With an awesome 4.9 star rating on AutoGuru, customers of Perth Mech Mobile Mechanic have had great things to say! Westside Mobile Service owner/operator Ryan Adamson is a professional mobile mechanic specialising in log book servicing, general vehicle servicing and repairs, and European brake repairs. Ryan is factory-trained in 8 manufacturers, with over 16 years’ experience in the automotive industry, 12 of those in an independent workshop. Ryan prides himself on offering you an honest, reliable service and assessment of your vehicle. Being an owner/operator, customer satisfaction is number one in mind, rather than working for commission or bonus schemes as the dealership mechanics do. Whether it be at your home, workplace or work site, we can service or repair your vehicle quickly and efficiently. There’s no down-time for the customer, just a mechanically healthy and safe vehicle the end result. Here’s a great review for Ryan & Westside Mobile Service. With Auto Smart Mechanical you can keep your new car warranty and have it serviced by a fully qualified, registered, licensed and insured mechanic with a minimum 17 years experience in the trade. Auto Smart Mechanical are mobile mechanics that operate in Perth and surrounding suburbs. They can come to you wherever is most convenient, this can be at your home, work or another location of your choice. Before any work is commenced, they’ll provide you with a break down of any work required on your vehicle with a professional quote. For your convenience this will be prioritised according to urgency. Luke and the team have a 4.9 star rating on AutoGuru, have a look at what customers have to say about them! Looking for a mobile mechanic in Perth?